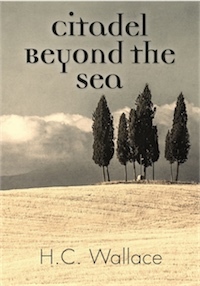 Deceit and betrayal surround the lives of the inhabitants of a small Mediterranean village. The inhabitants fall prey to their own schemes while unscrupulous characters outside the village take advantage of their greed. Wartime ideologies clash with deadly consequences and the pursuit of justice hangs in the balance. The protagonist, an aspiring young man with dreams of fame, is involved in an incident that has dire consequences. The young man stumbles through an episodic existence since the incident leaves him with a scarred conscience. Will he find resolution with his lover who must find her way through her own personal loss? H.C. Wallace has had a life long interest in literary fiction. After high school he joined the Army and served in the Vietnam War. After his discharge he obtained his BSBA and enjoyed a career in industry. He has continued to pursue his interest in literature. This is his third novel.